The Lil' 15 is tiny! 15 watts of channel switching dual EL-84 power! Channel one is similar to the Bad cat clean sound you have become familiar with in amplifiers such as the Cub II and the Black Cat. Channel two is a whole new breed of cat! Simply put channel two of the Lil' 15 will blow you away. 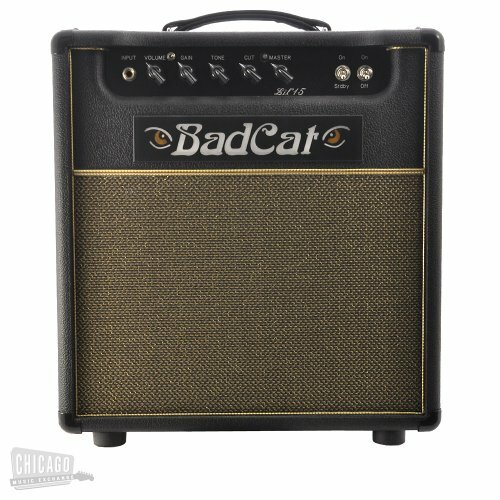 You will not believe how ferocious this Cat is regardless of it's tiny size!Featuring 15 watt hand-wound power and output transformers the amp is made as small as possible built around the transformers with the transformers taking up the whole height of the cabinet. This point-to-point design is in a class by itself!The Lil' 15 is a great live or studio amp covering all ranges of sounds and tones. Strawberry Shortcake Classic Plush Doll with Custard Cat and Pupcake Dog Stuffed Toy, Great gift idea.